Not in Finland? Choose your country's store to see books available for purchase. 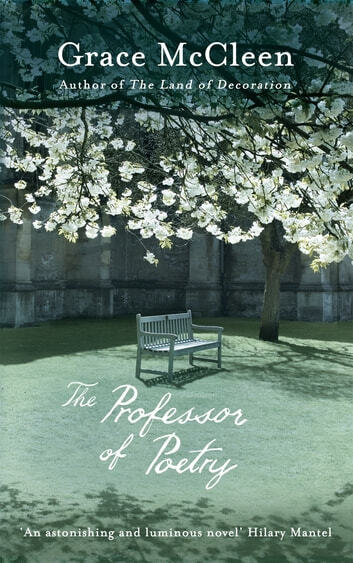 But as the days pass in the city she loves and her friendship with Professor Hunt is rekindled, her memories return her to a time shadowed by loneliness, longing and quiet despair, and to an undeclared but overwhelming love. Paralysed by the fear of writing something worthless, haunted by a sense of waste, Elizabeth Stone comes to realise she is facing the biggest test of her life. As in her acclaimed debut The Land of Decoration, Grace McCleen gives an intense evocation of place, an unflinching portrayal of a character by turns comic, absurd, and disturbing, and a powerful sense of the transcendent within the ordinary. Profound and hypnotic, The Professor of Poetry devastates even as it exhilarates and echoes long after it has been closed.